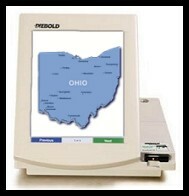 " Failed Again: Widely-Used Diebold Touch-Screens Systems Dropped Votes in Recent Ohio Primary	"
A failure in Diebold touch-screen voting systems in Butler County, OH resulted in votes not being included properly in Election Night results, even though the system had reported that all votes were uploaded and recorded correctly. Once the error was discovered, a subsequent upload of all of the county's 1599 touch-screen memory cards to the Diebold central election tabulator after the election, also resulted in the failure to record the results of one of the memory cards, despite the system having reported that all results were "uploaded properly." The failure of Diebold's widely-used AccuVote TSx machines during the state's March 4th primary election resulted in the initial loss of at least 150 votes, and has prompted a letter of concern to the company (posted in full at the end of this article) from Butler County's Election Director, Betty L. McGary and Deputy Director, Lynn Edward Kinkaid. In the letter to David Byrd, President of Diebold's recently-renamed election division, "Premier Election Solutions," the officials point out that two different memory cards failed to upload vote tallies to the central tabulator. "It may appear that every vote has been counted when cards indicate they are being properly uploaded, when in fact votes cast on a memory card(s) are not tabulated in the results," the officials wrote after having discovered the matter. "It is unimaginable how serious this situation could have been should the problem be undetected, or ignored," they concluded. The letter also details yet another previously-unknown problem with Diebold's central tabulator --- one that could well-effect this November's general election --- as revealed to the officials by a company employee during the initial trouble-shooting of the problem. "If we cannot produce accurate and reliable numbers, then it throws the entire process in question," McGary told the paper, which ads that it's "It’s unknown how widespread the problem could be." A recount this afternoon, in a close race in the 53rd Ohio House district --- with just 54 votes separating the two candidates --- is said not to have been affected by the problems discovered so far. Secretary of State Jennifer Brunner, who completed a massive study last year of Ohio's e-voting systems, finding numerous programming errors and "critical security concerns," has recommended that the state permanently ban the use of all touch-screen systems. Following the findings of her landmark EVEREST tests, last December she urged counties in the Buckeye State to move from touch-screen voting to paper-based systems. Almost all of the state's Election Directors have ignored her recommendations. Diebold's voting systems have become legion for their persistent failures during elections, and the ease in which study after study across the country has found that they can be hacked in a moment's time by insiders who gain access to either a single voting machine or their central tabulation computer. Vote-flipping viruses can be added via their memory cards, the machines are all opened with a single matching key, and the database which stores vote totals on Microsoft Access easily corrupted to change vote totals without detection. [Diebold/Premier's Keir] Holeman speculated that the problem could stem from the size of a database being larger than 2 gigs. Mr. Holeman explained that the central count server used for scanning and uploading Absentee and Optical Scan Ballots was taking up too much space in the database and outlined a procedure for backing up, deleting and compressing data before continuing with the uploading of memory cards. He went on to say that Premier was aware of this problem and that they would be issuing a product advisory. To date, we have not received such notification. Mr. Bunch then reviewed the size of our database and found it to be an acceptable size (245mb), causing our office to question Mr. Holemans conclusion of too large of a database causing the problem. So with just a few months left before what is likely to be the largest election in the history of the United States, in addition to the possibility of memory card totals showing as having been uploaded --- when they haven't been --- we learn that there is also a size limit that could effect the proper tabulation of election results on Diebold's widely used GEMS central tabulator. We are writing this letter to you by direction of our Board with a copy to Jennifer Brunner, Ohio Secretary of State. The Butler County Board of Elections has discovered a serious problem in the GEMS program provided by Premier Elections Solutions. On election night, March 4, 2008, during our Unofficial Run, all 1599 memory cards were uploaded properly in out TSX units and tabulated without incident into the GEMS server. We had received Premiers Product Advisory #PAN2008-003 of February 12, 2008, and were in full compliance with the recommended resolutions to the notice regarding GEMS Intermittently Terminating During Results Uploads. We used twenty Accu Vote-TSXs as recommended, and no more. All of the cards appeared to have uploaded properly, according to Keir Holeman of Premier Election Systems. Mr. Holeman was responsible for verifying the number of uploaded cards vs. the number downloaded and was physically present during the entire uploading procedure. On Thursday, March 6, while collecting information for the Secretary of State regarding optical scan polling, it was discovered that Memory Card 8 from Lakota Freshman School, was not showing as uploaded, even though nothing seemed out of the ordinary on election night. We attributed the missing card to human error and made note to be certain to include that card in the Official Run. Mr. Holeman was immediately notified that a card was overlooked and it appeared that a card had not been uploaded on election night. Our Official Run took place on April 1, 2008. Again, all 1599 memory cards were uploaded without incident and the number of uploads were verified by two members of our I.T. staff, as well as by Mr. Phil Schmidt from Premier. The data of Memory Card 8 from Lakota Freshman, previously missing from the Unofficial Run, was now in the report. On the evening of April 2, 2008, we discovered the omission of Memory Card 6 when we printed a report to provide data for a certification document required by the Ohio Secretary of State document. Once in the database gathering information for the report, we noticed that the votes cast from Memory Card 6 of Adena Elementary were now missing. The Board of Elections Systems Manager, Jason Bunch, notified Mr. Holeman of this discovery. Mr. Holeman speculated that the problem could stem from the size of a database being larger than 2 gigs. Mr. Holeman explained that the central count server used for scanning and uploading Absentee and Optical Scan Ballots was taking up too much space in the database and outlined a procedure for backing up, deleting and compressing data before continuing with the uploading of memory cards. He went on to say that Premier was aware of this problem and that they would be issuing a product advisory. To date, we have not received such notification. Mr. Bunch then reviewed the size of our database and found it to be an acceptable size (245mb), causing our office to question Mr. Holemans conclusion of too large of a database causing the problem. Mr. Bunch and his colleague, Mary Kay Kowalski, our Database Manager, viewed the posting log of our database. Searching through the file, they located the entry for the missing card, and an error message was found that stated, a sharing violation has occurred. Simply stated, the card count on election night was 1599, but when the database was reopened, the count was 1598. All of this information was shared with our Board yesterday during the Certification of Election Results Meeting. The Board reacted strongly to such distressing news, and requested that we write to you immediately demanding immediate attention to this issue. It is simply unacceptable for errors of this kind to be occurring. A situation of this nature could impact any election. It may appear that every vote has been counted when cards indicate they are being properly uploaded, when in fact votes cast on a memory card(s) are not tabulated in the results. We wish to commend our excellent staff for detecting this problem and bringing it to the attention of us all. It is unimaginable how serious this situation could have been should the problem be undetected, or ignored. Please issue an immediate reply as to how Premier Election Solutions intends on remedying this situation. « PREVIOUS STORY "Former DoJ Voting Chief, John 'Minorities Die First' Tanner, Has New Gig in Corrupt Alabama"
"Failed Again: Widely-Used Diebold Touch-Screens Systems Dropped Votes in Recent Ohio Primary"
These dudes forgot to clear this story with mar 'what election problems' kos evidently. Don't you guys know that we grow pure, heavenly, unadulterated, positively, wonderful, democracy here in Amurka? That electronic election life is sweet and warm? Next thing you know you will be critizing the wonderous warrior surge. Don't get the idea that if Ohio was using Diebold's paper ballot Optical Scan voting system all would be OK. The memory card and GEMS tabulation components that failed in this Diebold touch-screen voting system configuration are the same components used for Diebold's paper ballot Optical Scan voting system configuration. This is a good example of why a statistically correlated hand count of up to 10% of optical scan machine counted paper ballots is an absolute must! How on god's earth are these things still in use? Way to go Butler County Board of Elections for supporting your county's election board staff in their findings. My experience in receiving support or direction from an Ohio County Board of Elections was the opposite. Hopefully, all Ohio Board of Elections will take notice of your lead and allow the unspoken to be spoken. 2 gig size limit is an Access/Jet database hard limit. So it sounds like they are using the POS Access database from Microsoft. There are a lot of open source, industrial strength, databases with a small code footprint out there. Well, it's quite clear which tactic the officials in those counties have: The state's Election Directores play dumb and ignore all warnings until it's too late. I wouldn't be surprised if most of those directors tend to support the GOP. The Dems should threaten to boycott the elections unless serious steps are taken to fix those voting machines or they should demand that Diebold voting machines should be replaced. Why not reintroducing the old way of voting: A paper with the candidates and a pencil. I believe that the normal checks and balances detected this issue. That is the difference in unofficial and official. Problems with paper ballots not being marked correctly, damaged in mail transport, human error, are all causes that generate problems. With out the procedures and checks and balances problems could go by easily with in any structure or system in place. This would have come out in some kind of report. Many things can happen during an election and with the system in place now has only helped bring out many problems and mostly human errors. My question is this, it has been known that Access only has a limit. Where was the monitoring for file size going on during election? A simple back up now and then could have fixed this issue.